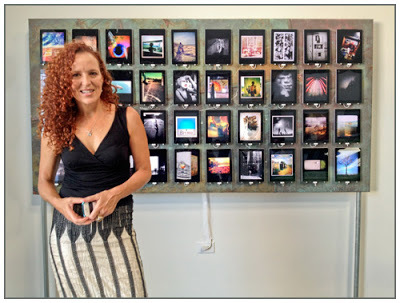 The new art form was conceived by Colleen Duffley, an international photographer who directs and produces many different types of creative installations. Duffley wanted “Light Expressions” to level the photo playing field by allowing people from all walks of life to capture an image on their iPhone camera that expressed their imagination, sensitivity and innovation. Each artist was assigned one iPad 2. 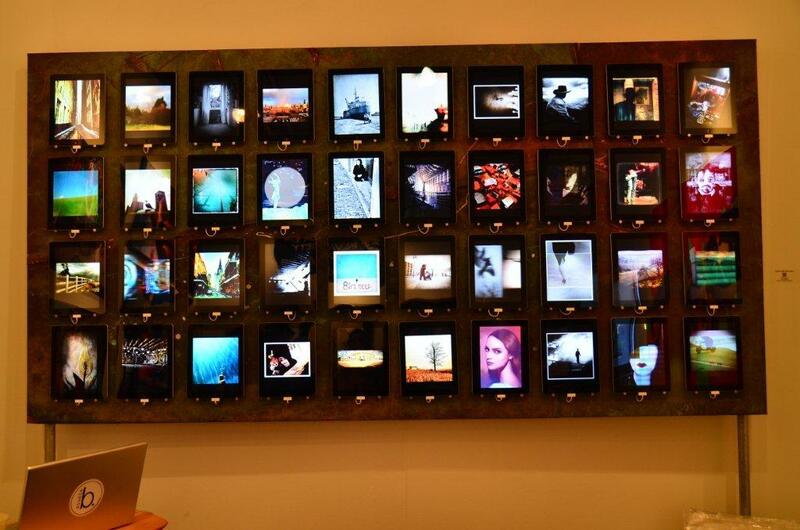 Every iPad features 13 images continually looped at different intervals. The metal structure that is used to showcase the 40 iPad 2s actually materials recovered from a wreckage of 1995’s Hurricane Opal. An additional iPad 2 is used to stream the entire show online at http://www.studiobthebeach.com. Studio b. is Duffley’s creative venue that brings together the world of photography, art, literature, fashion, design, music, and the culinary arts. This is the list of photographers from across the globe who partcipated in the first exhibit. The artists keep changing all of the time. Gerard Godin, Janine Graff, Nathaniel I.Cordova, T.S. Elliott, George Alexandris, Helen Breznik, Elena Herrero, Amo Passicos, Robert Herold, Aik Beng, Edina Herold, Amy Hughes, Colleen Duffley, Natali Na Prosvet, Laura Peischi, Alan Kastne, Cara Weil, Donna French, Jason Donnelly, Benamon Tame, Paul Moore, Jamie Stewart, Art Meripol, Allessandro Greganti, Jenny Markley, Jen Bianco, Elizabeth Grilli, Hans Borghors, Giuseppe Navone, Jaime Ferreyros, Catherine Restivo, Easton Reynolds, Stephane Mahe, Catriona Donagh, Alain Guerquin, Daniel Berman, Seikou Yamoka, Chris Harland, Roger Guetta, and Dan Piassick.